WEST ORANGE, N.J., April 11, 2019 /PRNewswire/ -- Lincoln Technical Institute (NASDAQ: LINC), a national leader in specialized automotive training, will send Kyle Martin, a student from the Denver, CO campus, to the Acura Grand Prix of Long Beach from April 12 - 14. Martin will participate as a member of the Arrow Schmidt Peterson Motorsports team which competes in the NTT IndyCar Series; he is the first of five students to be chosen this season as Lincoln Tech and Arrow SPM continue the associate partnership and the student Mentorship Program first established in 2017. Lincoln Tech's President and CEO, Scott Shaw, says the organization is excited for the opportunity to give students from its auto and diesel training programs the chance again this year to be part of the pit crew for the No. 5 Arrow Schmidt Peterson Motorsports Honda and driver James Hinchcliffe. "We've seen how our students can benefit from this kind of firsthand experience with Arrow Schmidt Peterson Motorsports," Shaw says. "One of last year's mentorship participants, Benjamin Driskell, was offered a full-time position and started working for the team in January. We believe this speaks to the quality of training our students are receiving, and to the commitment Arrow SPM has shown to giving our students every opportunity to succeed." Martin, and other Lincoln Tech students chosen for this year's Mentorship Program, will work as a team member during the race weekend, with full pit and garage access. Students and selected Lincoln Tech instructors will also have the opportunity to meet Hinchcliffe and team co-owner Sam Schmidt. "Sam, James, and Cole Jagger [Arrow SPM front end mechanic and a Lincoln Tech graduate] are ideal role models for Lincoln Tech students looking to begin hands-on auto careers," Shaw adds. "Every year the Lincoln Tech mentorship program moves from strength to strength and fills our pipeline with talented young mechanics who help us win at the race track," commented Jon Flack, President of Arrow Schmidt Peterson Motorsports. "We now have two Lincoln Tech graduates as full time employees at Arrow SPM and we're excited to put the 2019 class through their paces starting with Kyle at Long Beach." For Martin, a resident of Aurora, CO, this will be a once-in-a-lifetime experience for someone who grew up watching racing with his father on TV. "It was wild when I found out I'd been chosen," Martin says. "My jaw dropped. I'm looking forward to meeting James Hinchcliffe and learning as much as I can from the team. Applying myself in school has definitely paid off." Kelly Moore, President of Lincoln Tech'sDenver campus, cites Martin's stellar academic record as a reason he was nominated by his instructors, and ultimately selected for the first race. "Kyle has found his niche and his passion," Moore explains. "He has a near-perfect GPA and attendance record, and rose quickly to the top of our applicant pool. We're incredibly excited for him!" As someone with a lifelong interest in cars and the technology that powers them, Martin can look forward to hands-on experience with the Arrow SPM team. It's a natural extension of the skills he's already building in his Lincoln Tech training program, a program that has helped him discover what he wants to do in his future career. "Auto Technology is something I really enjoy working with, and learning about, and this accomplishment makes me want to perform even better going forward. When I start my career, I want to be someone making a difference in this field that I love." And if his selection for the Mentorship Program should lead to a career opportunity in the near future? "That would be something I'd absolutely enjoy," he says. Lincoln Educational Services Corporation is a leading provider of diversified career-oriented post-secondary education. Lincoln offers recent high school graduates and working adults career-oriented programs in five principal areas of study: automotive technology, health sciences, skilled trades, information technology, and hospitality services. Lincoln has provided the workforce with skilled technicians since its inception in 1946. Lincoln currently operates 22 campuses in 14 states under three brands: Lincoln Technical Institute, Lincoln College of Technology, and Euphoria Institute of Beauty Arts and Sciences. Lincoln also operates Lincoln Culinary Institute in Connecticut. Established in 2001 and owned by former IndyCar driver Sam Schmidt and Canadian businessman Ric Peterson, along with major support from Arrow Electronics which has partnered with the organization since 2015, Arrow Schmidt Peterson Motorsports (Arrow SPM) currently competes in the NTT IndyCar Series. With a storied history in the Indy Lights Series with over 70 wins, over 70 pole positions and seven championship titles, the Indianapolis-based team has also found success in IndyCar with six wins, two Indianapolis 500 pole positions and five poles claimed overall, as well as three top-five finishes in the championship points standings. 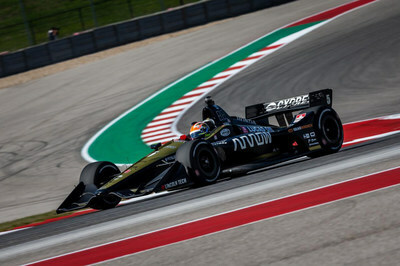 For more information, please visit spmindycar.com.